The new facility must include adequate, secure parking for court and Sheriff’s Department personnel. In the current outdated facility, the staff is forced to scrounge for street parking or search for spots in already overburdened lots. At the same time, San Francisco is facing a wave of unprecedented car break-ins, with KRON4 reporting more than 30,000 break-ins in 2017 and only 481 arrests for this conduct. Court and Sheriff’s Department personnel deserve reasonable access to secure parking while they work in service of public safety and the administration of justice. Staff must also be able to access the current and new facility through all points of access. 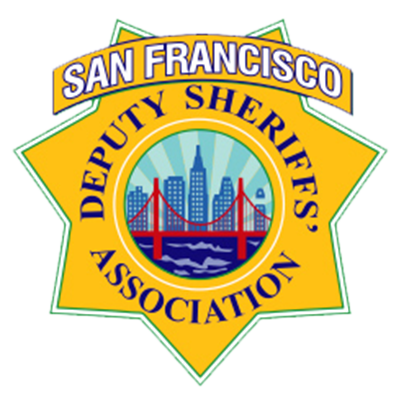 The SFDSA represents the sworn 725 Deputies that perform a full range of Law Enforcement duties within the City & County of San Francisco and San Mateo County. A significant number of our members along with members of the public at-large access this building 24 hours a day and 365 days a year. 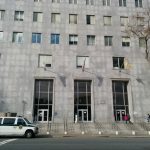 San Francisco Deputy Sheriffs perform Superior Courtroom Security as Bailiffs, Lobby Security along with a myriad of other public safety related duties in and around the Hall of Justice Complex. County Jail No. 4 is located on the 7th Floor at 850 Bryant Street where several hundred inmates are housed throughout the calendar year while in custody. We join Mayor Farrell and other city leaders in calling on Governor Brown to redirect those 1.6 Billion dollars to the Judicial Council previously “repurposed” to assist the state when it was experiencing a “budget shortfall.” Please see the below Legislative Analyst’s Office (LAO) Executive Summary Position: 2018-19 Budget. Near-Term Outlook Positive. Under our current revenue and spending estimates, and assuming the Legislature makes no additional budget commitments, the state would end the 2018-19 fiscal year with $19.3 billion in total reserves (including $7.5 billion in discretionary reserves), as we discuss in Chapter 1. In the budget process, the Legislature will face decisions about how to use discretionary state resources, including whether to build more budget reserves or make new one-time and/or ongoing budget commitments. In addition, we estimate the Legislature will have $5.3 billion in uncommitted school and community college funds to allocate in 2018-19. The state could use these resources to fully implement the Local Control Funding Formula and support a variety of other one-time and ongoing activities. Please join us in contacting your elected officials to demand that this Capital Improvement Project is fully funded because it is truly a matter of public safety that affects all San Franciscans NOW and in the future.